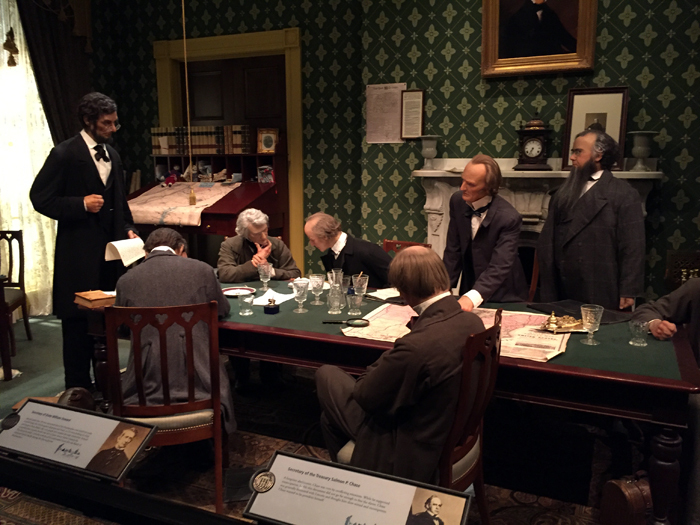 SPRINGFIELD, IL — We toured the Lincoln Museum Thursday morning. 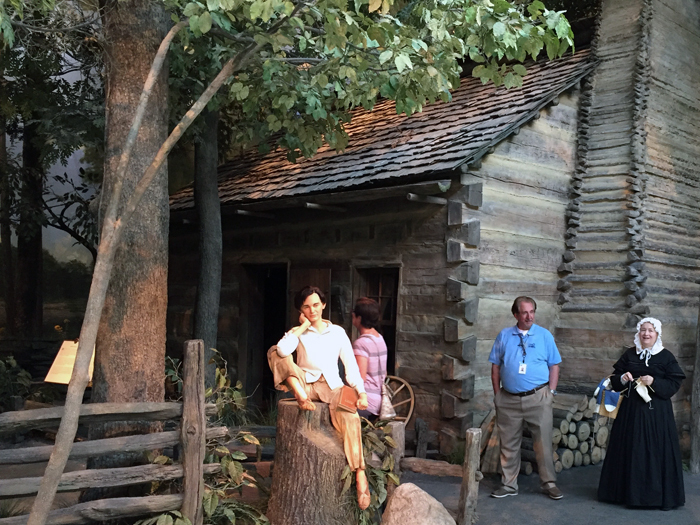 The tour started in a replica of Lincoln’s Indiana log cabin and ended with his assassination. Historical actors, dioramas, and various other exhibits were used to document his life. Very interesting. My takeaway: one of Lincoln’s dogs was name Fido. The Docent told Tom that the dog in the diurama was Joe and the other dog that Lincoln had was named Fido. Do you think he was pulling Tom’s leg?